One in two women over the age of 50 will break a bone due to osteoporosis. The National Osteoporosis Foundation (NOF) reports that by 2020, half of all male and female Americans over the age of 50 are likely to have osteoporosis or low bone density. Of the approximately 10 million individuals in the United States with osteoporosis, eight million are women. Osteoporosis literally means “porous bone.” It results when the body’s bones are weakened from depletion of calcium, phosphorous and other minerals as we age. Individuals with the disease can break a bone from something as seemingly harmless as a minor fall. Any bone is susceptible, but those most impacted are the hips, wrists or the spine. Osteoporosis is sometimes referred to as a “silent disease” because people often are not aware they have osteoporosis until they actually break a bone. The disease is more prevalent in women mainly because their estrogen protects bone mass. As women age, this hormone is depleted, resulting in a loss of up to 20% of bone density in the five to seven years following menopause. Other risk factors include a family history of osteoporosis and previous broken bones. People weighing less than 127 pounds are also at increased risk because they have less bone mass. Certain medications may contribute to bone loss. These include, but are not limited to: heparin, lithium, aluminum containing antacids, anti-seizure medications (Dilantin®, Phenobarbital), cancer-fighting chemotherapy drugs and certain antidepressants (Lexapro®, Prozac®, Zoloft®). Many steroids can also cause bone loss, including cortisone, dexamethasone (Decadron®), methylprednisolone (Medrol®) and prednisone. Prevention of osteoporosis should start at a young age, since approximately 85 to 95% of our bone mass is attained by the age of 20, according to the NOF. Peak bone mass occurs by age 30. Building strong bones early in life can prevent osteoporosis. Include proper amounts of both calcium and Vitamin D in your diet. These nutrients are important because the body needs Vitamin D in order to absorb calcium. For adults 19 and older, the Institute of Medicine, a nonprofit organization that works independently of the government to provide unbiased advice, recommends 1,000 – 1,200 mg of calcium daily. Good sources of calcium include dairy products, cereals, almonds, kale, broccoli, spinach, salmon and soy products. Experts recommend 600 IU (International Units) of Vitamin D daily up to age 70. 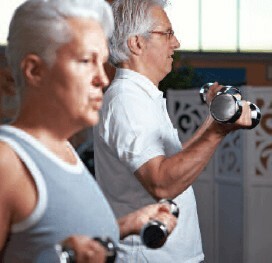 Men and women over age 70 should have 800 IU daily. Vitamin D is found in foods such as whole eggs, fatty/oily fishes (halibut, herring, oysters) and fortified milk. Exposing our body to natural sunlight is one of the most effective ways to produce Vitamin D.
Absorbing the necessary amount through sunlight will vary by skin type, region and season. For example, fair-skinned individuals require less exposure than those with darker skin tones, and sunlight in tropical climates is more intense so less exposure is required. Incorporate weight-bearing and muscle strengthening exercises in your fitness routine. These forms of exercise help increase bone strength. Examples include walking, dancing, and stair climbing, as well as lifting weights (free weights or weight machines) or using exercise bands. Don’t smoke and consume alcohol in moderation. Smoking prohibits bones from absorbing calcium. Drinking heavily can also prohibit calcium absorption and increase the risk of falling. A bone density test is the only test that can diagnose osteoporosis before a bone is broken. 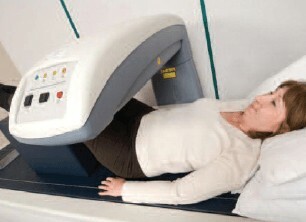 The test uses dual energy x-ray absorptiometry (DXA) that measures bone density in various locations in the body. It also provides a person’s risk of fracture, called a FRAX® score. This score combines risk factors, along with age, previously broken bones and bone density. The resulting information can predict the risk for future fractures and prescribe more targeted medical care. Most people diagnosed with osteoporosis take medication to prevent fractures. Physical therapy may also be prescribed to improve bone strength, posture and balance—all of which aid in decreasing the risk of falling. There is no cure for osteoporosis, but proper treatment and following these simple proactive steps may not only sustain or improve bone health but may also prevent or at least slow its onset. The post Osteoporosis – Can you avoid the break? appeared first on Specialdocs Consultants. Got Milk? Or Calcium Supplements? Or Neither? 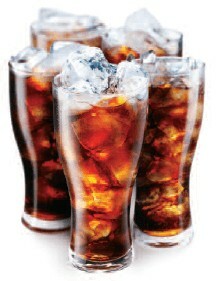 Exercise – A Key Component to Healthy Aging Diet Soda Arthritis – Cause of Aches and Pains?